Flavoured sugar syrup recipes either using infused fruits, herbs or spices or extracts. Chai Shooter and Hot Frothed Chai. I love tea. My dad got me into Earl Grey years ago, and if I am looking for a solid anytime tea, that is my choice, with milk and sugar (never could go black). But if I was to choose a hot drink for comfort, for curling up on the couch and reading a book, I would go to my stash of Chai Tea, brew it up with honey and milk and sit back and relax to the aroma of cinnamon, ginger & cardamon. According to the Mighty Leaf, chai tea is 5000 years old and originates in the courts of Siam and India, created originally as a healing drink. Considering the health properties of ginger and cardamon are said to include assisting with nausea, infection, colds and flu; and cinnamon also is said to have similar properties, assisting with colds, infection and upset stomach; it doesn’t surprise me that one would turn to this drink for comfort and has become popular across the globe. Chai now comes in vanilla and chocolate flavours, in lattes and in iced drinks. So how about creating a shooter? Put cinnamon, pepper, cardamon and cloves into ziplock bag and crack with rolling pin or hammer until broken but not powder. Add to water, teabags and ginger in a pot and bring to a boil. Reduce heat to medium and simmer for 10 minutes. Remove from heat and steep for 1 hour. Add sugar and boil 5 minutes until sugar dissolves. Cool and strain with double strainer. Return liquid to heat and simmer 30 minutes to concentrate syrup. Cool and store until needed in fridge. Pour chai infusion into shot glass, mix cream and cinnamon syrup in a cocktail shaker with ice and layer over chai infusion. Serve. 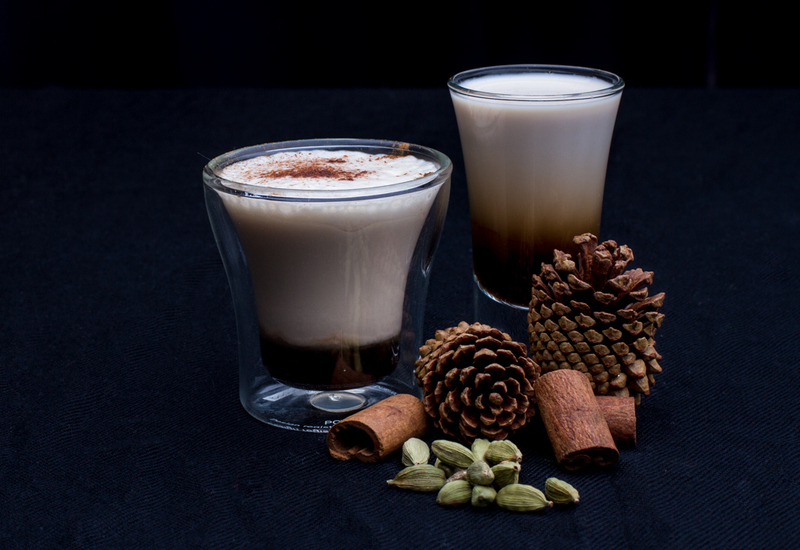 In order to create a strong flavour I blended cinnamon syrup with cream and layered that over the chai infusion in a shot glass. The result was a stronger hit of cinnamon, similar to if one had topped their latte with ground cinnamon, and sweetening the first flavours hitting the tastebuds. This would be lovely as a hot drink too, using heated chai infusion and frothing the cream and syrup before pouring over the drink and served in a demitasse. Pumpkin and Mandarine Oranges two common Christmas ingredients during the holidays. Well it’s December! Christmas is less than a month away, the wish book is out and kids are taking notes, baking is in the air, logs are on fires, and Christmas specialty items are hitting the stores. One of my favourite is Mandarine Oranges. Fragrant and sweet and so easy to peel. My kids just love getting these in lunches, and for snacks, and mom is often picking up peels all over the house. So what to do with these peels, they got to have some use right? Mandarine orange peels have a different flavour than the common orange and less bitter pith making them perfect for creating orange syrups and infusions. I found that infusing mandarines peels into syrup created a nice punchy citrus flavour, more appropriate for drinks where a citrus instead of pure orange taste is required. 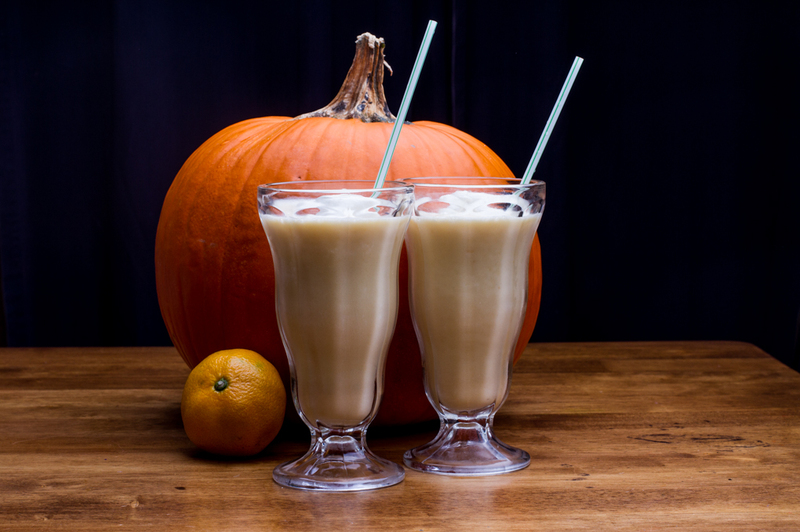 Taking this to the next level, I wanted to see how much a mandarine infusion would add to a pumpkin shake creation – instead of using my standby of orange juice. The idea was to mix fresh pumpkin puree, cinnamon and honey syrups and mandarine flavour with ice-cream to create a unique shake. Because of all the other sweet ingredients, I hoped to use a water infusion instead of a syrup for my orange ingredient. My first try was to create a tea of mandarine peels with hot water, and use this as an ingredient in the recipe. While the resulting shake was indeed tasty (my youngest sucked it down happily, my eldest claimed she is not a pumpkin pie or pumpkin anything fan), the mandarine was lost in the mix. Next I tried simmering the mandarines in water instead of steeping them. Then lastly tried blending water and the peels in a processor, simmering and then straining to get the strongest flavour possible. Blend all ingredients but whipping cream in a blender and then top with whipped cream. This is a tasty recipe but needs more orange flavour. Even with the blended infusion, the orange is very subtle. I used homemade pumpkin puree, made from boiled up pumpkins saved from halloween, and there is quite a bit of liquid in the puree. If you use canned pumpkin, you may want to add a bit of liquid to the mix, or reduce the pumpkin down to 1 oz since it is more concentrated. Also the pumpkin is not spiced, so watch that you use plain puree, not pumpkin pie filling. Either make a tea of the mandarines and water. Or simmer chopped peels and water for 5 minutes then let steep for 10 minutes, strain and cool. Or for most concentrated version blend water and mandarine peels in blender then simmer 5 minutes and strain immediately (this version is a bit more bitter). Cucumber drinks are great all year. Left to right: Cucumber infused water & Cucumber Lime Fizz. Did you know that cucumbers can cool blood and reduce swelling, erase pen ink, keep glass from fogging and clean surfaces without streaks? And if you eat it? Well! It eliminates bad breath, assists with hang-overs and provides you with 13 vitamins and minerals. Hooray for the mighty cucumber. They even have a National Cucumber Day in the United Kingdom in June. The original version instructs on how to make a cucumber infusion – giving an hour to have the flavours blend. Since cooking cucumbers in syrup is not an option here, two options present themselves: infusing cucumbers in water or sparkling water, or muddling cucumbers into a cold simple syrup and then straining the ingredients. As the other two flavours are both strong — lime and ginger— I tested all options to see which would provide the best cucumber flavour against the true recipe. In order to compensate for the slower infusion rate of the cucumber in sparkling water or regular water, I gave each three time the infusion time of the vodka. Then created the recipe as directed and taste tested each. Interestingly enough, there was very little difference between the drinks. The drinks are made with mostly sparkling water and all the flavours are very subtle. So I tried again but made smaller sizes, with the same amount of the flavouring ingredients (infusion, syrup, lime) and just less soda water. Much more tasty and the differences between drinks was a little more noticeable. Muddling the fresh ingredients in simple syrup and water gave the drink a bit more kick from the lime and ginger (I used three small slices each of ginger and cucumber) gave the drink a more earthy taste and a slight opaqueness to the drink. The infused version had a sweeter flavour, more clarity and tasted more like a refreshing pop. For all the drinks, the ginger and lime flavours came out stronger than the cucumber, while the cucumber lent more to the aroma and nuance of the drink. I used soda water for my infusion and the salt added a stronger note to that drink than plain water or vodka, however the initial fizz from the soda water was long gone after the infusion process. The vodka infusion was easily replaced with any of the other infusions making this drink easy to adapt to a virgin recipe without a loss in flavour. So the verdict? Both the muddling and the water infused options were my favourite of the bunch. I definitely recommend making the drink with the more concentrated recipe. Create garnish by slicing cucumber along length with a peeler and cutting into thirds. You will need one to two slices depending on the size of your glass. Fill glass with ice and drop cucumber slices in around edge. Squeeze lime into glass and drop wedge into top of glass. Top with soda water (3-4 oz). Muddle ginger and cucumber in cocktail shaker with simple syrup. 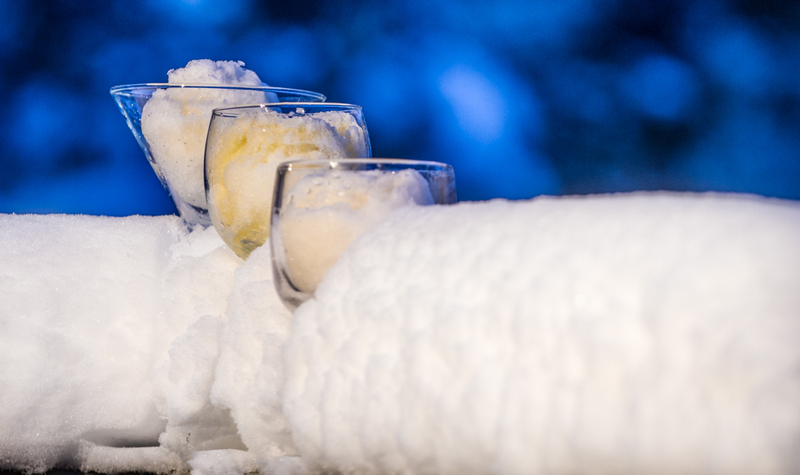 Strain while pouring over the ice. Stir and serve. To create garnish slice remaining cucumber along length with a peeler. You will need two to three slices depending on the size of your glass. 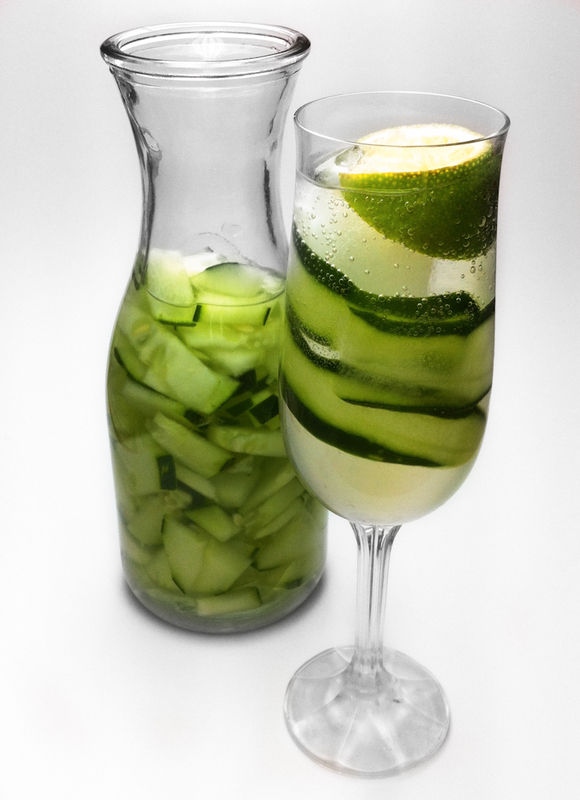 Fill glass with ice and drop cucumber slices in around edge. Squeeze lime into glass and drop wedge into top of glass. 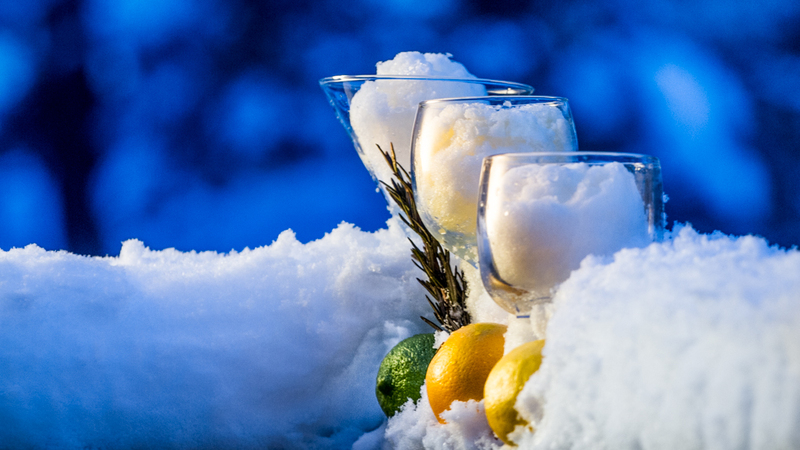 Top with soda water (3-4 oz). Pour ginger simple syrup into each glass, stir and serve. What did my family think? With a hubby who hates cucumbers and two kids who find ginger drinks overpowering, I had to go to outside sources. So after my first testing, I meandered over to my sister-in-laws with some samples and created both the “favourites” for her. Her comments? “Refreshing” Her preference? The more earthy muddled drink, which I agree feels more like a cocktail and less like a mixture of pops. What’s your preference? With only two samplers at my disposal, I challenge you to do the taste test and comment on your thoughts.